Let me start by saying that these covers are AMAZING! I know I know don't judge a book by its cover, but you know, there's a great blog out there with that title. As much as we don't want to, a good cover is what drags us over to the book. Along with a good recommendation, or a snazzy title, covers are how we notice books. Ok, enough about the covers, I had to give them the much deserved props. I just love the 'darkness' and beauty combined of these covers. 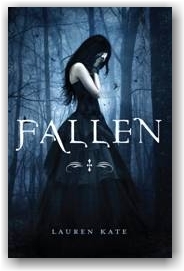 So we start out with Fallen - Book 1 in the series. I say - it starts out good, you're not sure what's going on so you are drawn to continue. Kate twists it up, and it's not all roses for our leading lady. I like it, gives it a good aspect. I'm starting to grasp the story line and get into this thick book, but then I get a little lost and it drags out a little. BUT I'm invested so I trek on, no, put it down for a minute got a new release in, then pick it back up. It's so hard to explain what I'm feeling. I'm into Cam, Luce is interesting, and Daniel, he's ok - so I'm vested in the characters and I'm wanting to keep going. The story line is unfolded - and I'm thinking it has great potential. Fallen angels, fated love, destined to be forced apart - love the way Kate is playing it out, but felt it could have been a little something longing for me to love the book. 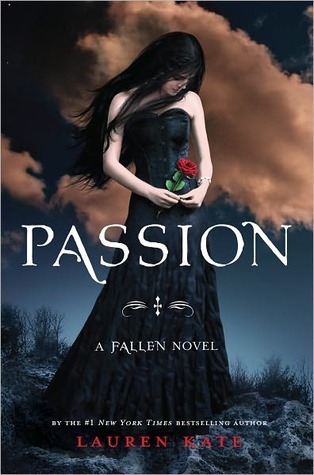 Which is evident because I'm on to book 3 - PASSION - It starts out strong, but then, I'm doing some things over and over and from two points of views. I know I need to really feel the passion, but I felt like it was a little draw out again. I put it down for a few, couple of things to get done. I finally start to feel that passion, about half way through, and now I'm with it. I'm with the characters, I'm with their story, I'm with Luce and I'm twisted up in it that I was just as fooled as Luce was. Maybe that's Kate's thing, your not sure of anything any more and then your in it. Wow - thrown off by the betrayal Luce faces. 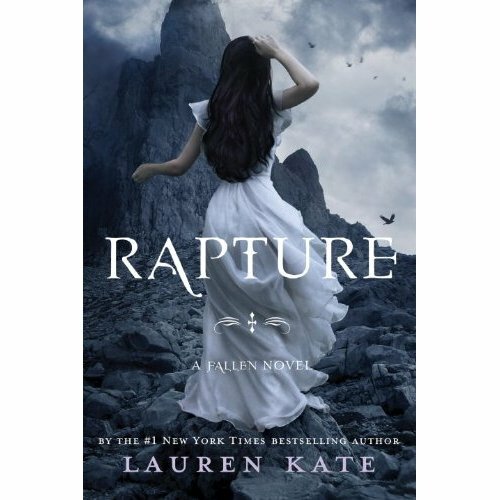 So let's do the overall - It's ok - I will definitely be reading book 4 - the final one - Rapture - because I gotta know, but I felt it was a little drawn out in each book. I could have dealt with about 100 pages less in each and been in love with it. For the record - I'll see the movie for sure - I want to see it on the screen. It's almost a 3 so we'll show you the 3 and let you drool over that extra half of a slice. 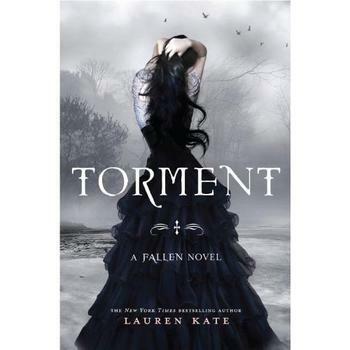 Fallen was fascinating, scary, fresh YA book with a wonderful story to tell and captivating characters! I am really glad that I picked the book up for reading and I cannot wait reading the next books in the series! Absolutely loved it!